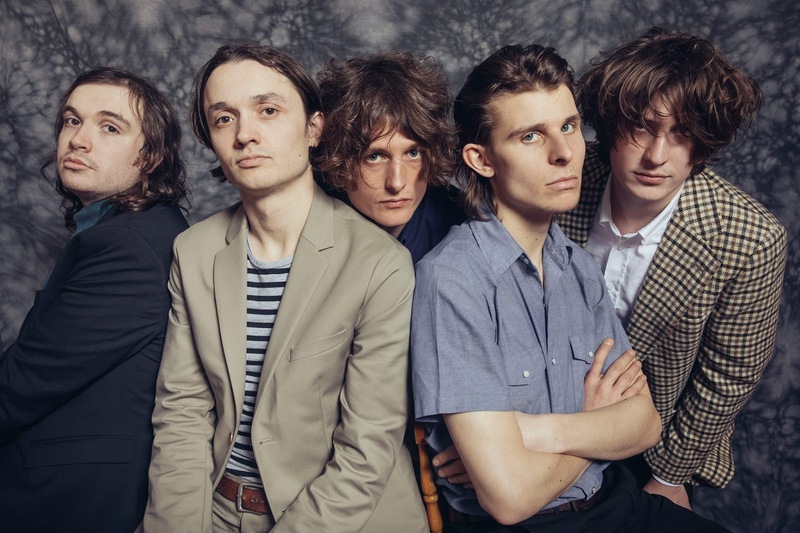 Cabbage have today released their new single Arms Of Pleonexia and first track to be taken from their forthcoming debut album Nihilist Glamour Shots due for release on March 30th. The song takes aim at the arms race where the UK and our allies are selling the weapons that are causing death and destruction in wars around the world, the chorus asking the question "how long till we take responsibility?" instead of simply taking the money and not considering the consequences (Pleonexia derived from the Greek for the extreme greed for wealth and material possessions). They have accompanied the release of the single and news of the album release with the following statement "Dearest Cabij community. After 2 years and 4 months we finally reach the time for our debut LP 'Nihilistic Glamour Shots' to be released on 30th March 2018. Please indulge in this campaign as we will be throwing everything into it as though it will be our last. Social constructs paint a world that uses glamour as a tool which at the core feels empty resulting in the topics that spread across our record. Our mantra is to keep on producing, there's too many psychopathic leaders with control over nuclear weapons to procrastinate, so at that it would be our humble gratitude for you to join us in support." The album follows on from their debut EP Le Chou, the Young Dumb And Full Of Cabbage compilation album of three EPs released in late 2016/7, one-off single Gibraltar Ape and their last release The Extended Play Of Cruelty EP and what feels like two years of endless touring. This hasn't been without controversy as there were allegations of sexual assault levelled against Lee after a Kasabian support show that were refuted by the alleged victim's father and addressed in this interview with Louder Than War as well as them having to change the lyrics of the song Free Steven Avery as it made reference to "Death To Donald Trump" as a throwaway slogan before he was elected to the US presidency. 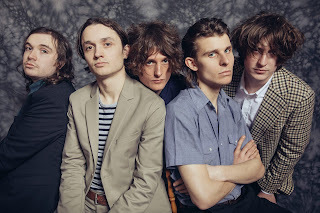 Cabbage play the following shows : Hull Welly Club (January 31), Nottingham Bodega (February 1), Stoke Sugarmill (2), Sheffield Plug 2 (3), Southampton Loft (7), London 100 Club (8), Bristol Fiddlers (9), Leeds Brudenell Social (10), Newcastle Think Tank (14), Glasgow King Tut's Wah Wah Hut (15), Liverpool Magnet (16), Birmingham Castle And Falcon (17), Aberdeen Tunnels (April 4), Edinburgh Mash House (5), Kendal Brewery Arts Centre (6), Middlesbrough Westgarth Social Club (7), York Crescent Community Centre (11), Leicester Dryden Street Social (12), Norwich Arts Centre (13), Coventry Empire (14), Oxford O2 Academy 2 (18), Cardiff Clwb Ifor Bach (19), Brighton Patterns (20) and Portsmouth Wedgewood Rooms (21) before playing a hometown show at Manchester Ritz on May 19 with PINS, The Blinders, Witch Fever, Lady Bird, Sports Team and Rhythm Method.